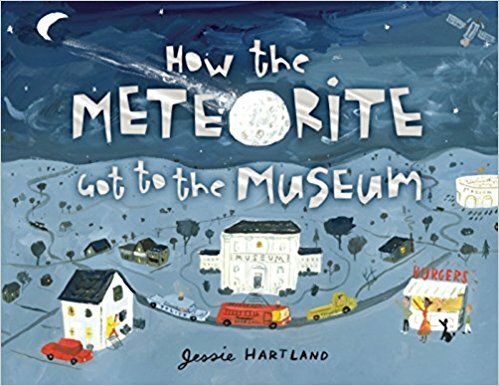 DESCRIPTION FROM THE PUBLISHER: This science-as-entertainment book chronicles how a meteorite ended up in the American Museum of Natural History, detailing the steps that brought it from outer space, across the eastern US, to the roof of a car in Peekskill, New York, and thereafter to be verified, tested, and exhibited in the hallowed halls of the AMNH. Hartland describes the space rock’s path by showing how it connected to people, e.g. fans at a football game noticed it, the police attributed its crash to vandals, firefighters cooled it off, etc.